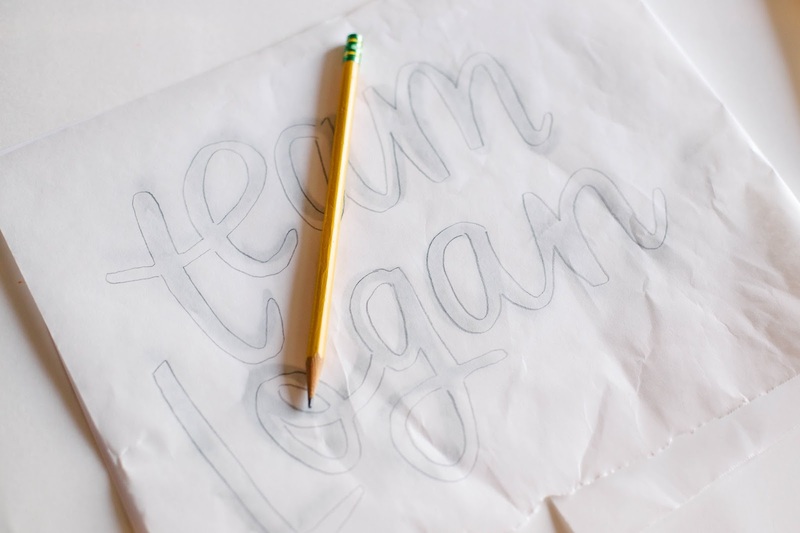 Ready to make some DIY Gilmore Girls Tshirts? I really might wear mine everyday until the revival. 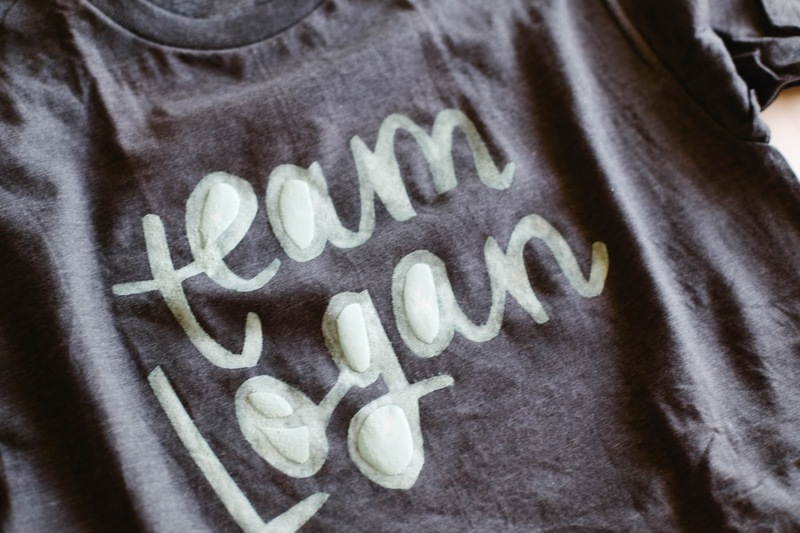 ;) These shirts are super easy to make (and don't cost a lot either!) 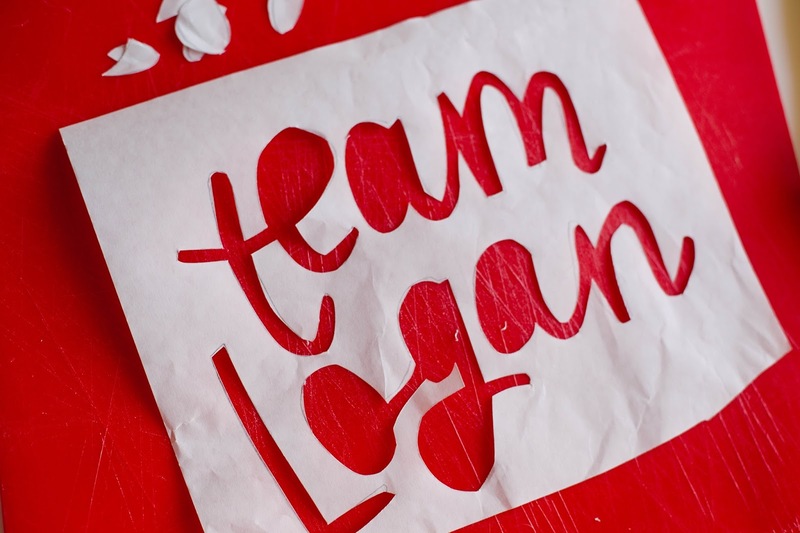 All the stencils are included in our Gilmore Girls party pack - we've included Team Dean, Team Jess, Team Logan, Luke's Diner logo, and an Honorary Gilmore Girl stencil as well. :) You can find the pack HERE. 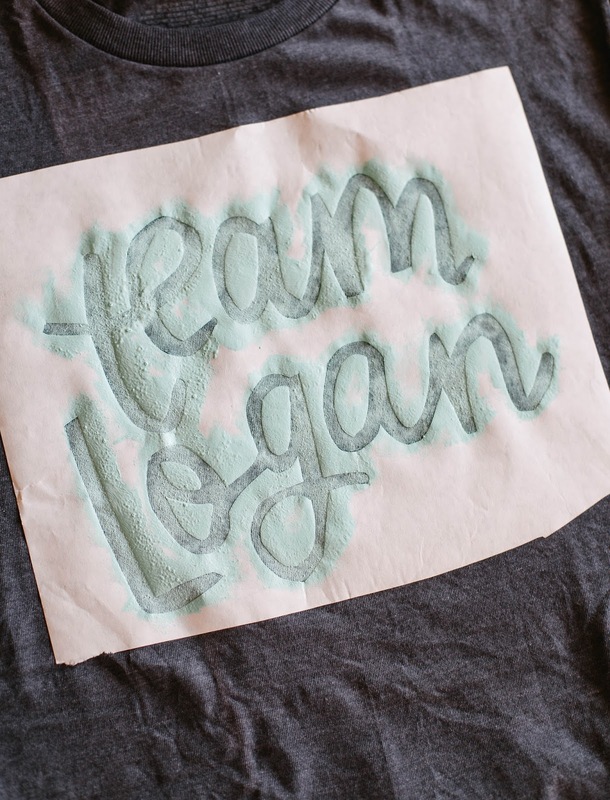 First, trace the stencil or print directly onto freezer paper. (To make it easier, you can simply tape the freezer paper to a thicker piece of cardstock and run it through your printer.) Make sure the shiny part of the freezer paper is on the bottom, that way it will stick to your tshirt. Do not try using parchment or wax paper, it will not work. :) Using an exacto knife, carefully cut out stencil. Be sure to save the "insides" of your letters. 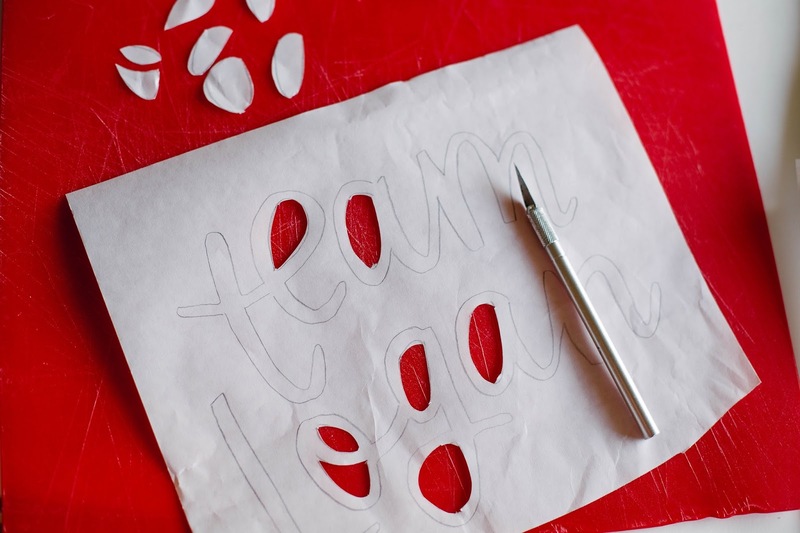 You won't need the actual letters as we are making a stencil, but the insides of the "e" for example will be needed later in the process, so you'll want to keep those in a pile! 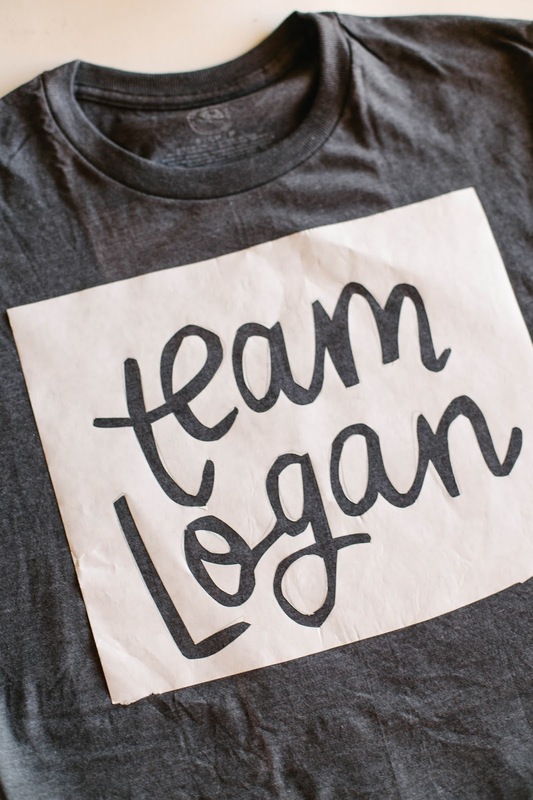 Now you're going to take your stencil and iron it right onto you shirt! Go over the stencil a few times to ensure that it holds to the tshirt well. 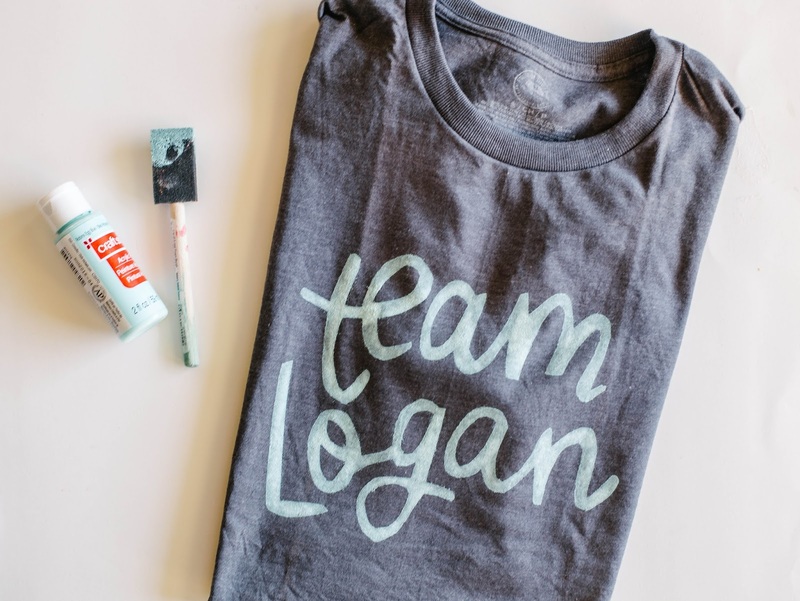 Insert thick paper or cardboard inside your shirt, to keep the paint from leaking to the back. Use your foam brush to dab paint onto tshirt. I’ve learned that dabbing the paint on works much better than brushing it from side to side. Use at least two coats. Last time I used actual fabric paint, but this time I used acrylic paint mixed with fabric medium. I’ve learned to just keep fabric medium paint on hand for these last minute projects! I also like the fabric medium so I can mix it with any color. I’ve learned that you can pull off the stencil while the paint is still damp or after it has dried. Either works fine! After the paint is completely dry, run a warm iron over the paint. 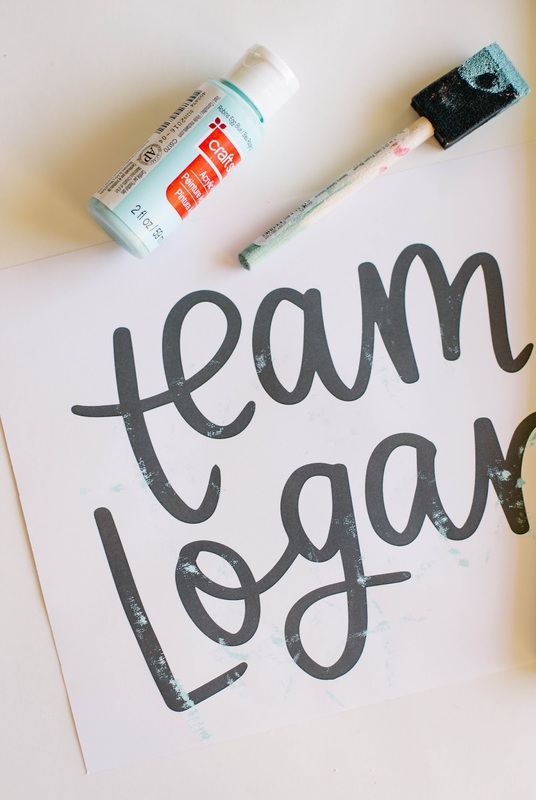 This will help the paint set and keep it from coming off in the wash.
HAHAHA i am so making this! !